A complete security audit that analyzes all critical parts! corresponding to the General Data Protection Regulation. We are specialized in security audits, penetration testing, ethical hacking, and security training. We have a no-nonsense mentality regarding cyber incidents and data protection. The most advanced and up-to-date ethical hacking training ever organized, taught by trainers who perform security audits and penetration tests on a daily basis! Because threats and vulnerabilities are constantly evolving, we strongly advise to perform vulnerability scans on a regular basis. IT security starts by facing threats and vulnerabilities! By performing controlled attacks, a penetration test uncovers security flaws in a realistic way! It makes use of ethical hacking techniques: "Like a hacker, but from an ethical point of view"
The goal of our security training is to create an awareness. "By knowing your enemy you can better shore up your defenses!" All our security audits are done with an objective approach. We are independent and vendor neutral; we don't believe in a situation where auditor is also reseller! A 3 day comprehensive ethical hacking course for IT staff and enthusiasts. Hack safe and legally, in a simulated live environment with real-life targets! "A supervised capture-the-flag training"
MME BVBA is an independent IT company specialized in security audits, penetration testing, ethical hacking, and security training. All security audits are done with an objective approach. Its mission is to advise and to remediate threats and vulnerabilities. 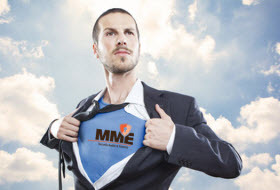 MME is independent and vendor neutral; it doesn't believe in a situation where the auditor is also a reseller! The goal of the security training is to create an awareness among students. IT staff should have a basic knowledge in security, and even in ethical hacking techniques. "By knowing your enemy you can better shore up your defenses!" Ook dit jaar zijn wij terug van de partij op SANS 2019 en Security B-Sides Orlando. Read more about We Need An Update ! Best Wishes for 2019! We wish all our customers, partners and followers a healthy, successful and prosperous New Year. Read more about Best Wishes for 2019! bWAPP, or a buggy web application, is an open source deliberately insecure web application developed by MME. It prepares one to conduct successful penetration testing and ethical hacking projects. What makes bWAPP so unique?